Three years ago, 3D TVs were the next big thing, the savior of the TV industry, the must-have feature that would convince consumers to pull out their credit cards so they could enjoy their favorite movies in that extra dimension. Well, unfortunately for the TV makers, 3D - though popular with many buyers - never has generated enough enthusiasm to make a major impact in the marketplace. Since the rollout of 3D TVs at least two other next big things have pushed 3D out of the spotlight. Now it has simply become another feature offered on certain models. If you are one of the millions who always opt to pay the extra couple of bucks at your local multiplex or IMAX theater to view blockbusters like Oz: The Great and Powerful or The Great Gatsby in 3D, then read on to learn about 3D TVs. If 3D does not appeal to you, know that there are plenty of very good non-3D TVs in the marketplace and if you wish, you can skip this section. If you are still with us, let's distill the 3D TV system to its basics, you need a source that delivers 3D content to a TV that can display it and, in most setups, glasses that allow you to process the display. 3D TVs had been available before 2010 but were never that popular partially because there was no simple 3D delivery system. Late in 2009, the Blu-ray Disc Association announced the finalization of the "Blu-ray 3D" specification, which paved the way for the release of the first Blu-ray players that could playback 3D movies like Monsters vs. Aliens or Cloudy with a Chance of Meatballs. With the advent of a Blu-ray 3D player, though expensive, the 3D delivery problem was solved. To watch 3D Blu-rays, you will need to purchase a new 3D Blu-ray player. And, yes, you will be paying extra for the privilege. If there is a silver lining, nowadays, the price of good 3D Blu-ray players have begun to drop to near and sometimes below the magic $100 mark. These 3D players also can play non-3D DVDs. The next step in the 3D home viewing experience was for the movie studios to actually release the 3D Blu-rays. And they have been more than happy to oblige since they can charge a little extra for the 3D version. 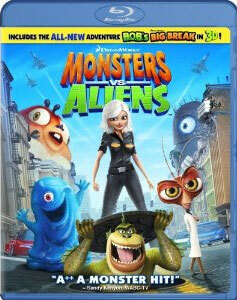 If a 3D movie was a hit in the theaters, you can be assured that sooner than later a 3D Blu-ray will be released. Studios are even going back into their vaults and remastering in 3D some of their 2D blockbusters. Perhaps more interesting to 3D fans was the thought of watching their favorite sporting event in 3D. Three years ago, dreams of 24 hour 3D channels were dancing in the heads of TV executives. 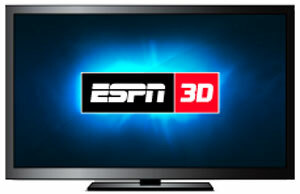 ESPN started the ESPN3D channel, which is still available from many cable operators. Each year, they broadcast over 100 live 3D of events like the BCS championship. But since 3D TVs haven't been a raging success, other broadcasters have not been as willing to commit to producing 3D programs like the ESPN pioneers. Though not overflowing, as you can see, a steady stream of 3D content is in the pipeline ready for you to tap. Of course, you will still need a 3D TV. Without being too technical, there definitely is more than one way of creating the binocular, three dimensional illusion on a TV screen. One prevalent method entails displaying alternate frames (left eye and then right eye) on the TV. To complete the process, you, as the viewer, must wear active shutter glasses that block the left lens or right lens in sync with the display. Your optic system and your brain then meld the two images together to simulate 3D. Of course, this technique does not work for a small percentage of the population and others simply find the experience uncomfortable. I sympathize with you. Just remember that all 3D TVs can revert to traditional 2D HDTVs with the touch of a button. The other competing 3D system employs polarized glasses, similar to the kind used in many movie theaters. I tend to prefer the polarized method. Back in 2010, almost all of 3D TVs required the active shutter glasses. Now, the percentage of active and passive 3D TVs is more evenly split. The designs of both the polarized and active shutter glasses have evolved a long way, but wearing them for an extended period can be annoying, especially if you already wear glasses to see. The active shutter glasses also require batteries to power the constant shuttering. Even if the batteries are rechargeable, you can imagine what your response will be if they poop out on you in the middle of the big game. The shutter glasses are also pricey. Even the least expensive ones cost around 20 bucks, which is much better than early models. Polarized glasses are much less expensive, which is why movie theaters hand them out when you buy your ticket. To ease your pain, many TV manufacturers are packaging a 3D starter kit with their 3D TVs. The kit usually includes at least two sets of glasses. The cost of extra pairs will be borne by you. And if you are planning a 3D viewing party for the big game, that can add up pretty quickly. And from my experience, 3D active shutter glasses only work for the brand that they came with. In other words, Sony 3D glasses do not work with Samsung 3D TVs and vice versa. 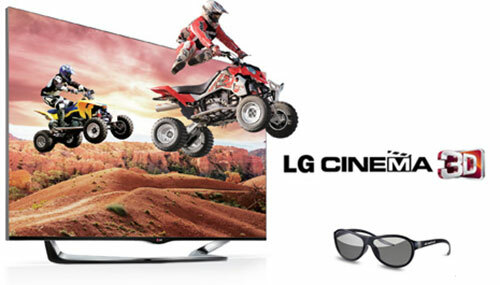 You can begin to understand why 3D TVs that require passive glasses have become more popular. In the spirit of full disclosure, let me admit that personally, I'm not a big fan of 3D. I saw Up at a movie theater in 3D and after a while, I took off the glasses because they dulled the colors. I actually didn't like the movie. Since then, I have watched the Blu-ray (non-3D version) of Up and I'm amazed at its vibrant color palette and overall visual storytelling. I discovered a new found appreciation for the film. With that said, I have reviewed a number of 3D TVs and many of my associates were impressed with the 3D viewing. Their reactions made me feel like a curmudgeon who should reassess his initial opinion. And indeed, when viewing 3D Blu-rays of movies like Alice in Wonderland or Brave, I could see the 3D appeal. Finally, if you are still with me and are ready to buy a 3D TV, I prefer the ones that use passive glasses, simply because active shutter glasses fatigue my eyes after about 30 minutes. The active shutter camp will talk about their advantages of full resolution display and better picture quality (with the absence of the telltale lines that you will see with the passive 3D technology). They have a good argument, but if I can't sit through a whole movie, then picture quality becomes secondary. If you have seen a 3D movie at a theater, it probably was with passive glasses and you know what that experience is like. I would suggest that you find an opportunity to test out a 3D TV that uses active shutter glasses. Your viewing experience may be perfectly comfortable and enjoyable. 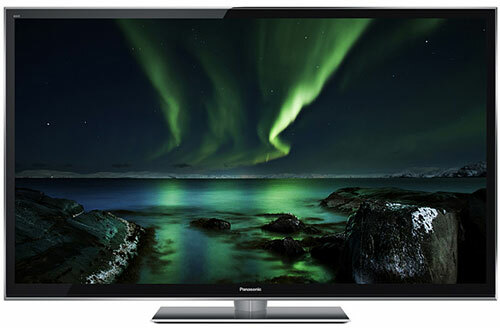 Whichever 3D system you prefer, you should be able to find a number of good 3D TV models.